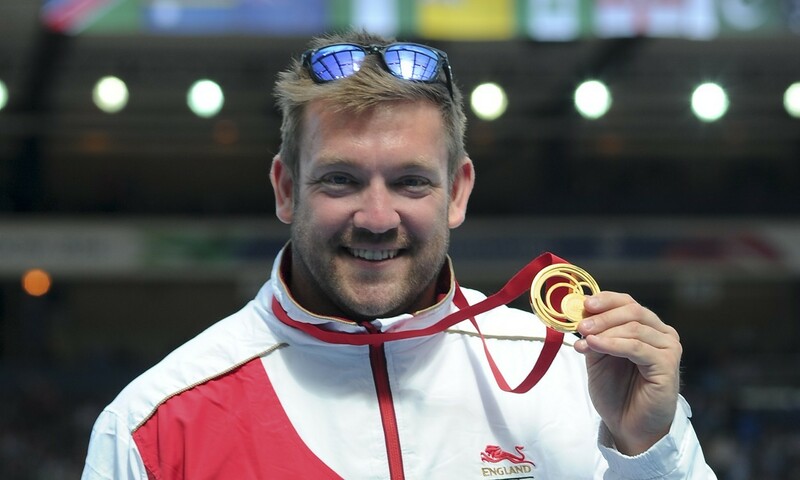 Dan Greaves says becoming discus world champion in Doha next year would be the icing on the cake after a memorable 2014 season. The 31-year-old was crowned Commonwealth F42/44 champion in July before throwing a personal best and continental record of 62.34m to win the European title in Swansea last month. He wrapped up his season with victory at the IPC Athletics Grand Prix Final in Birmingham, his throw of 60.01m almost ten metres further than that of main F44 rival Jeremy Campbell of the US. And Greaves believes his preparations for the 2016 Paralympic Games in Rio are right on track as he looks to reclaim the title he won at Athens 2004, with next year’s IPC Athletics World Championships all-important. “To become world champion next year would be the icing on a great couple of years,” said Greaves, speaking at an event celebrating National Paralympic Day. “It’s quite a long year so we will hit a bit of form maybe May or June time and then dip into some more training right through until November. “Hopefully it [the Grand Prix Final win] sent out a message to Jeremy that it won’t be all his own way next year at the World Championships. We’ve had rivalries ever since he beat me at Beijing 2008 and it’s great to have that. “It pushes me on, it pushes him on and it’s great for Paralympic sport because the public get to see big throws. It’s a long way and I think they can relate to that because it’s not far off able bodied standard. “It’s been a great summer for me. It’s taken a lot out of the body but it’s so pleasing to come away with a personal best of 62.34m, which is just incredible and all the hard work has been well worth it. Greaves revealed that retirement plans have been on his mind but with the 2017 World Championships taking place in London, he believes there would be no better setting to bow out than the Queen Elizabeth Olympic Park. “I’ve thought about retiring but I’m going to wait because I really want to go out with a bang in front of a home crowd,” he added.